As i regurarly travel abroad, i decided to buy me a video camera. 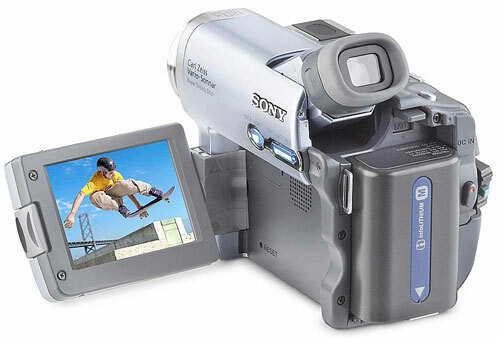 My first was a analog Sony Handycam CCD-TR640. As could be expected, it was soon followed by a digital Sony DCR-TRV22E, which i still use nowadays. Of each journey, i make a menu-driven DVD movie with Pinnacle Studio 9 (amongst many others for editing video and sound, of course). On this page, you can find the 'main' movies, converted to Windows Media Video (.wmv) format. The quality is not as good as DVD quality, but certainly acceptable and it will allow you to see the journey documentary. The scuba diving part of Egypt 2003 was added in 360x288 size, with only 384 kB quality, so that even the non-broadband visitors can have some view. Particurarly the 'Intro Egypt 2004' is worthwhile to see, it has higher quality and demonstrates the possibilities of Studio 9. At this moment there is not much available yet, but i am working on it so this page will be updated often.